It’s officially February, which means it’s time for the first edition of Bracketology for Daily Fantasy Winners! What’s so special about our bracket projections? Why shouldn’t you go to other sites that have been doing this for decades? Well, Daily Fantasy Winners is actually projecting the bracket. When you go to places like ESPN, CBS Sports, FOX Sports, USA Today, etc – they give you a bracket if the season ended today. That’s not a projection. That’s just giving you an idea of where your team sits if today was Selection Sunday. I’ve never understood the point in doing bracketology that way. The season always wraps up at the conclusion of conference tournaments on Selection Sunday, which is March 13th this season. Obviously upsets happen and projecting is subjective no matter how analytical you get, but isn’t doing a mock bracket if the season ended today subjective as well? 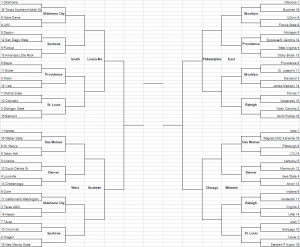 The proper way to do bracketology is project how the rest of the season will play out along with the data of what has already happened to this point. So, how does this work? Does Daily Fantasy Winners just guess what will happen the rest of the season? No. We often take a look at other metrics, such as KenPom, Sagarin and TeamRankings for their projected outcomes and ratings, but we also bring in a little bit of our own opinion that we feel is a necessary missing component. Essentially, it’s educated handicapping. So yes, you might see a team that appears to be struggling recently, but we project them to have a really good seed. Factors for this can be future schedule, a key player returning, metrics suggesting the team should go on a run, etc. This can also work the other way where a team looks like they are easily on the right side of the bubble but are nowhere to be found on the bracket. There will be a new bracketology posted every Sunday night or Monday morning. When we get closer to March with regular-season tiles and conference tournaments on the line, there will be an additional bracketology posted Thursday night or Friday morning. There will likely be a new bracket each day during Championship Week, which is the final week of conference tournaments. With this in mind, you might see a team suffer a loss or two, but their seed doesn’t change or barely suffers since we expected this to happen. On the other side, you might see a team get a big win or two, but their seed doesn’t change or barely improves. 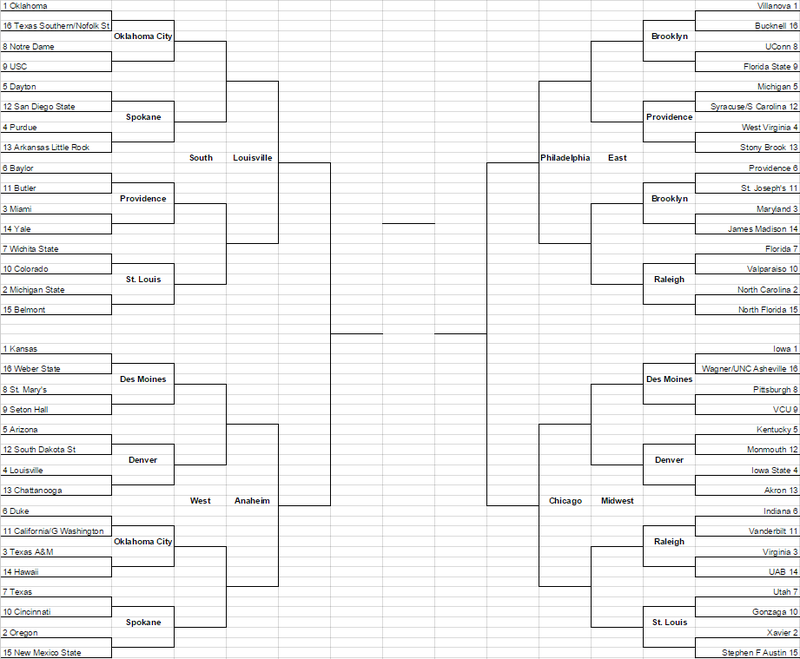 Nevertheless, the bracket will fluctuate each week. There are always upsets. We do know all the bracketing rules and the changes they have made within the last few years (when certain principles can be relaxed, when to avoid possible rematches at what point in the tournament, a team can’t play at a site if the school is hosting, etc). Each week we start fresh. Miss out on some of the action this week? Here are highlights of the biggest games and craziest finishes (Tuesday’s and Saturday’s were bonkers).